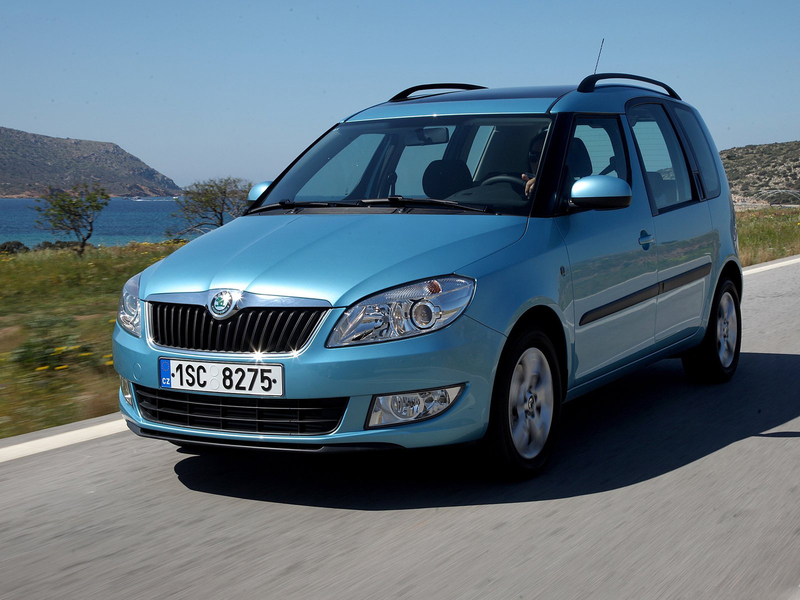 The Škoda Roomster (Typ 5J) is a five-door five-seat multi-purpose vehicle-styled leisure activity vehicle, produced by the Czechautomaker Škoda Auto. It was revealed as a production model in March 2006 at the Geneva Auto Show, with sales starting in June 2006. It is built at the Škoda factory in Kvasiny, Rychnov nad Kněžnou District. 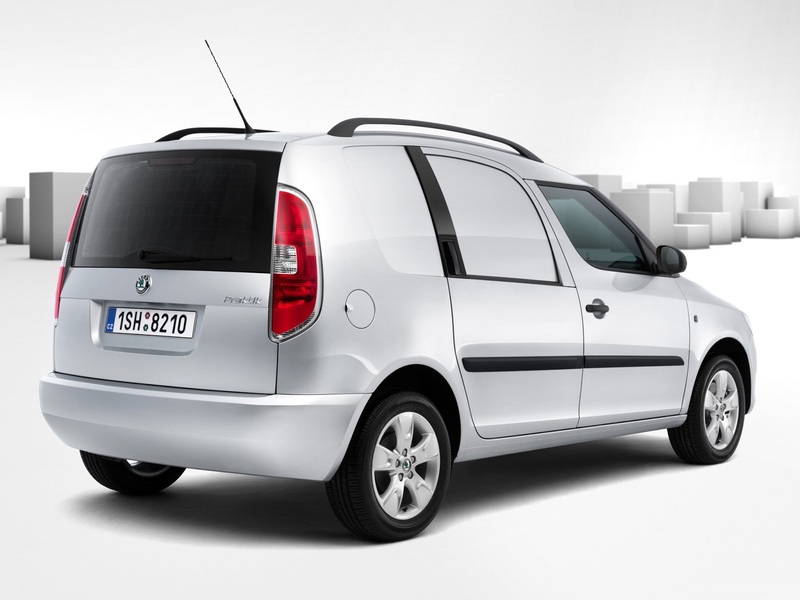 A two-door two-seat panel van version named the Škoda Praktik has been on sale since March 2007. The Roomster is Škoda's first car since the Volkswagen Group's take over of the brand that is not based entirely on an existing Volkswagen Group platform - although it is fundamentally based on the A4 (PQ34) platform, but with some unique additions. It shares components with the previous Škoda Octavia and the current Škoda Fabia. The name is reportedly a conscious combination of the words 'Room' and 'Roadster', and the split personality theme is played out in the design with a carefully honed 'driving room' ahead of the B-pillars, and a generous 'living room' to the rear. The Roomster therefore competes both in the mini MPV and leisure activity vehicle markets, which it will be sharing with the Fiat Idea, Nissan Note, Opel Meriva, Citroën C3 Picasso and Volkswagen Golf Plus. The Roomster has also appeared on an episode of the BBC 2 series Top Gear as one of the few inexpensive cars that Jeremy Clarkson liked. 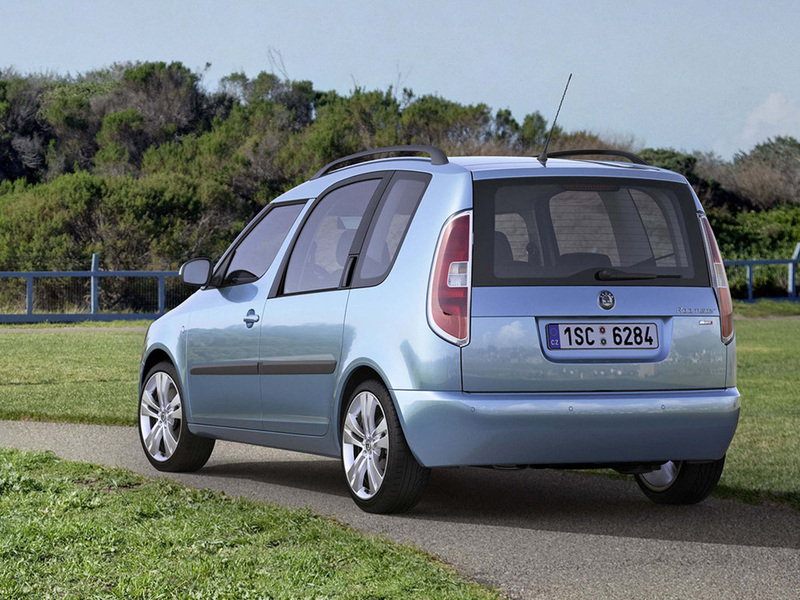 The Roomster is based on the concept car of the same name, originally revealed in September 2003 at the Frankfurt Auto Show. The concept was slightly shorter - 4,055 millimetres (159.6 in) against 4,205 mm (165.6 in) - than the production model but has a longer wheelbase - 2,710 mm (106.7 in) against 2,617 mm (103.0 in), and featured a single rear sliding door on the passenger side, which was replaced by two conventionally hinged swinging rear doors. Like the production car it was designed by Thomas Ingenlath and Peter Wouda. Škoda conceived the Roomster's cabin in a way it can have different configurations at the choice of the user. 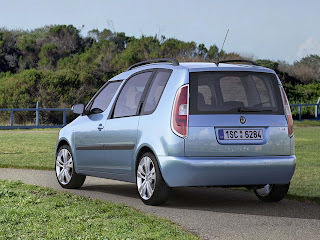 The rear 'VarioFlex' seatarrangement, which are taller than the front seats, can be folded in a 40-20-40 split configuration, instead of the more usual 40-60, and can also be moved longitudinally and transversally (by removing the middle seat). The rear seats also have variable inclination up to 7° to the back, or completely to the front. 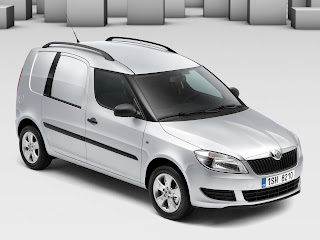 The Škoda Praktik (Typ 5J8) is a five-door two-seat panel van version of the Roomster. Its cargo space is 1,605 millimetres (63.2 in) long, 1,016 millimetres (40.0 in) wide (minimum), and 900 millimetres (35.4 in) in height - giving a cargo load space of 1,900 litres (67.1 cu ft), and a payload from 550 to 640 kilograms (1,213 to 1,411 lb). It also includes a moveable internal load bulkead, 'hidden' underfloor storage, anti-slip load bay floor covering with six lashing points, and full-length roof rails. The Škoda Roomster takes its internal combustion engines from its Volkswagen Group relatives, all engines are inline four-stroke designs. Petrol engines include the multi-valve inline three cylinder 1.2 litre, with power initially DIN-rated at 47 kilowatts (64 PS; 63 bhp), but now rated at 51 kilowatts (69 PS; 68 bhp), followed by the 1.4 litre and 1.6 litre inline four cylinder EA111 engines, with power of 63 kilowatts (86 PS; 84 bhp) and 77 kilowatts (105 PS; 103 bhp) respectively. The 1.6 litre is also available with a six-speed tiptronic automatic transmission, and is available on the most luxurious models. Last updated on 7 June 2013 at 06:25.